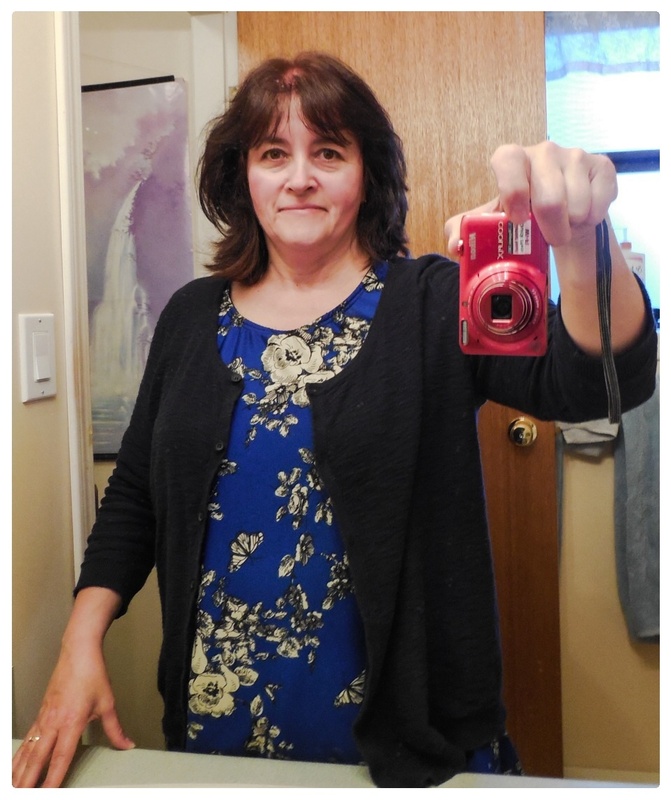 OWOP week – Sept 6 to Sept 12 – Nice dress! Thanks, I made it!! It’s OWOP week (One Week, One Pattern – organized this year by Handmade Jane). This is the week to wear the same pattern every day for seven days. 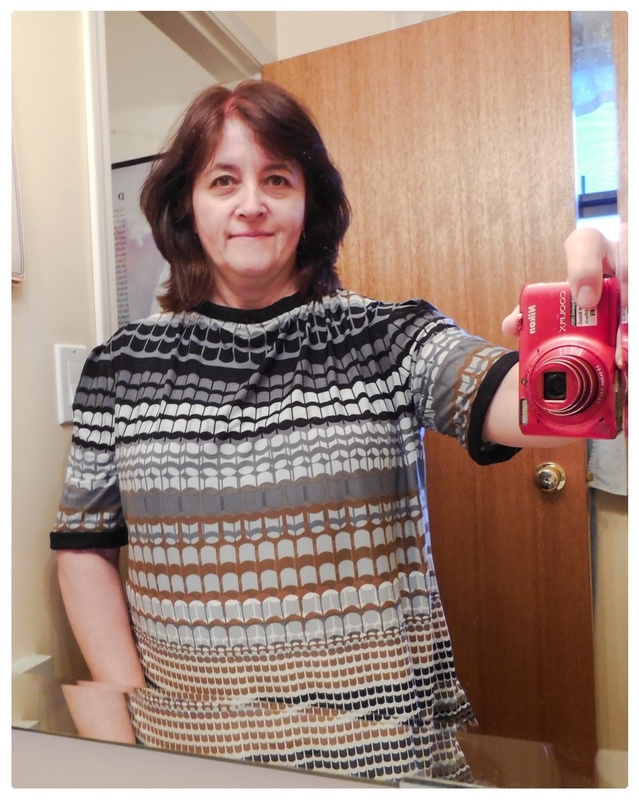 Butterick B5988 is my go-to tee pattern. If you have read my blog before, you might recognize these. I really, really wanted to get another one made, but fate wasn’t with me. 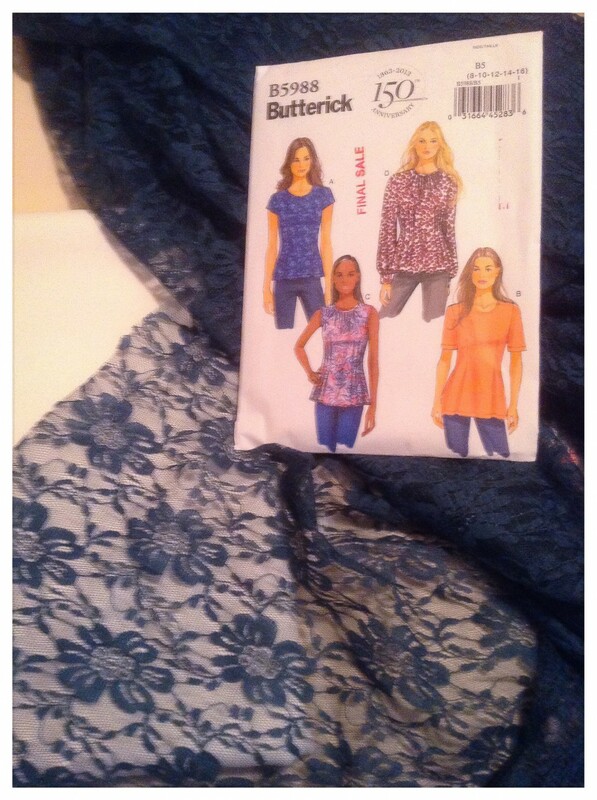 I bought this Butterick pattern especially for this white woven fabric with a green lace for the overlay. What do you think, should I save these fabrics still and make this top yet again? Monday, back to work. The weather was beautiful this week, even though some parts of Canada have already had a dump of snow. I still needed a light sweater for the air conditioned office. I took this photo AFTER work, I look kind of frazzled, don’t I? Thursday after work ….. My hubby took Thursday’s photo. He kept telling me that I was standing in the sun. I don’t care. It was so sunny! Just beautiful! Who can complain about that? 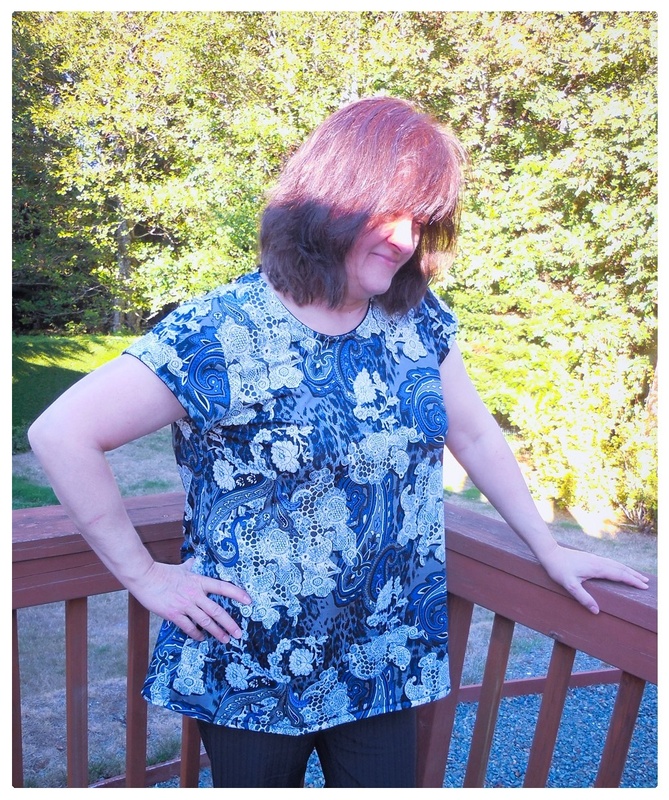 Sadly, I did not have another version of my Butterick pattern made up for Friday. I look forward to having a few more of these made for next year’s OWOP challenge though! Are you participating in OWOP? What is your favourite go-to pattern? Thank you to Handmade Jane for organizing OWOP 2014! Nice job. For frazzled you look pretty good. What a cool idea! Well done Linda. Thank you! It was a fun puzzle to try to make it work! Well done for taking part. I wasn’t organised enough but hope it runs again next year. 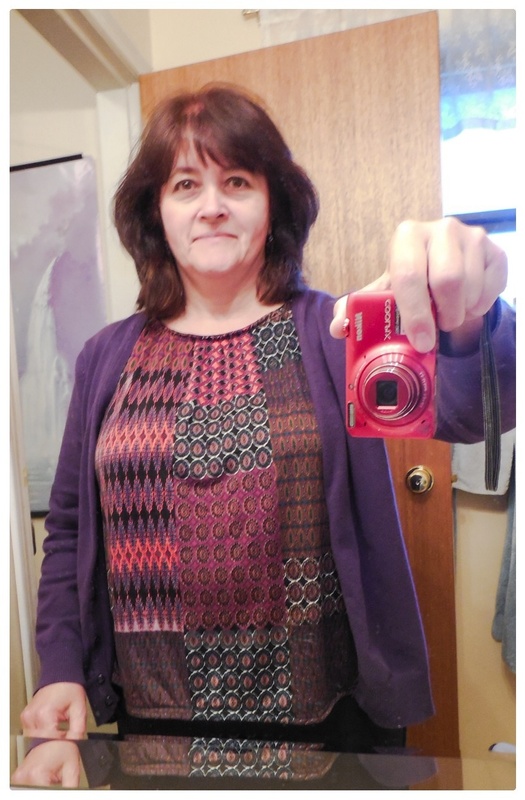 I didn’t think I had enough to wear but I’ve just made the 4 shirts out of the same pattern so I could have worn that – doh! All your tees look great. Thank you! 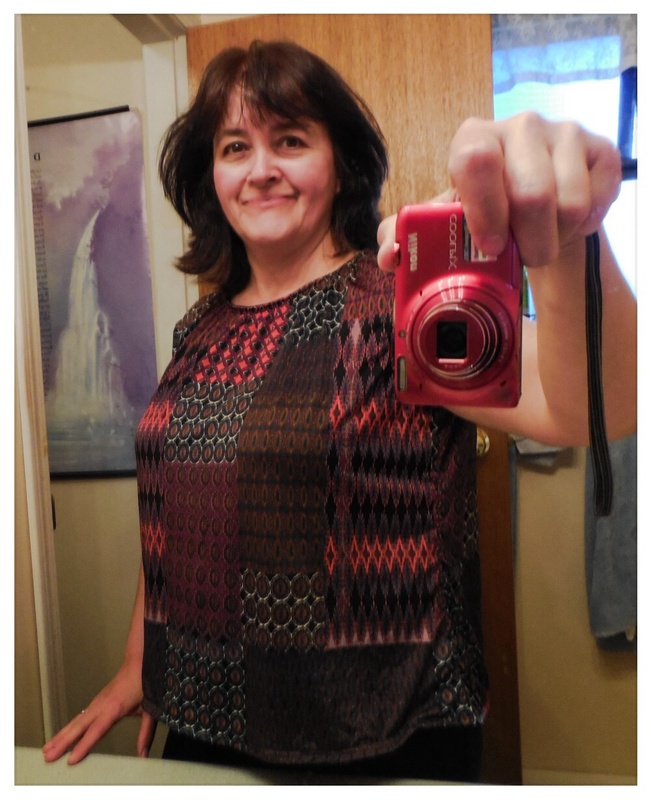 I thought, of course afterwards, I could have done the same Tee with pants and then on another day with a skirt but then when I get ready for work I am not usually thinking much! Love all your shirts! Great job on the challenge! Thank you! I hope it is done again, I’m getting good at this one! I like the blue too! Thanks for reading and commenting! It was fun to try to invent something new from the “same old pattern”!